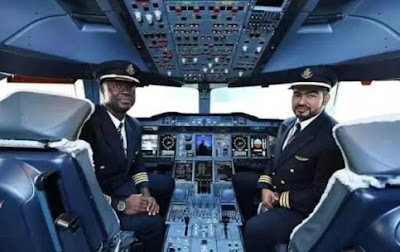 Ghana as a nation has stepped up their aviation game. 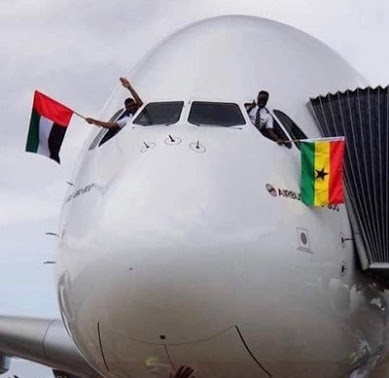 The World’s biggest passenger Airliner, Airbus A380, owned by Emirates made its first landing in Accra, Ghana. It is recorded to be the first in the entire West Africa. 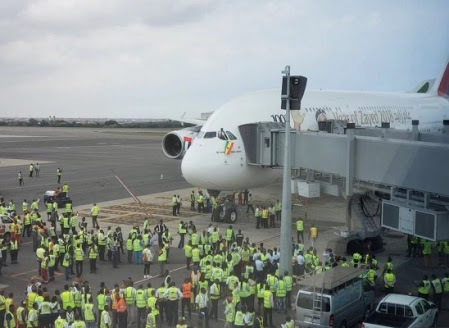 The Airbus A380 arrived at the newly constructed Terminal 3 of the Kotoka International Airport to a rousing welcome.